The Southern Poverty Law Center “Hate Watch” series has run several stories on the case, in every one of them misconstruing facts and painting Cliven Bundy as a “patriot threat”. The stories are mostly inaccurate and some are just plain dumb. The further to the right the outlet reporting the case, the more extreme the coverage has been. It’s hilarious how they have “Koch on the brain” disease on the Left. Today, after the BLM said it would be pulling out and leaving, Bundy wanted to know what would be happening with the cattle. Bundy said, well we’ll give them an hour to tell us, then we’ll go down to the pens and get the cattle. Flanked by militia members equipped like soldiers, Bundy gave the BLM a one hour ultimatum to disarm its agents, dismantle BLM equipment and end what he has described as a tyrannical campaign of harassment against his family, which has raised cattle on about 600,000 acres of federal land dubbed The Gold Butte for generations. “You report back to these people, we the people, in one hour,” Bundy ordered. “They [our demands] are not done and we’ll decide what we are going to do from this point on,” Bundy told about 1,000 supporters. Implicit within the SPLC article, Bundy and his buddies were threats, about to go in with guns blazing against the poor unarmed BLM folks. Why didn’t that happen then? Because it wasn’t reality, just a hate screed by the SPLC against people with whom they disagree. The “Hate Watchers” being the haters. this was just the tip of the iceberg. We now have all these domestic agencies armed with weapons, waiting for instructions. Whoever thought the National Park Service could be armed and used for pure political purposes as it was recently during the gov't shutdown? Let me add that I DO NOT want every government agency militarized. No to the National Park Service being militarized. No to the EPA being militarized. No to the OMB, No to the HHS, No to BLM, No to the long list of agencies that @algernonpj listed the other day. Stop it!!! We used to assume the National Guard would be called in when any domestic disturbance erupted. These soldiers were us, not idiots from an agency beholden to some political bureaucrat who has the authority to threaten their job, their retirement income and their future. This is going TOO FAR!!!! Now we all know the plans for all that ammo that various government agencies have been scarfing up. SPLC? Isn't that the Socialist Political Liars Center? And, yes, this whole situation is very disturbing. 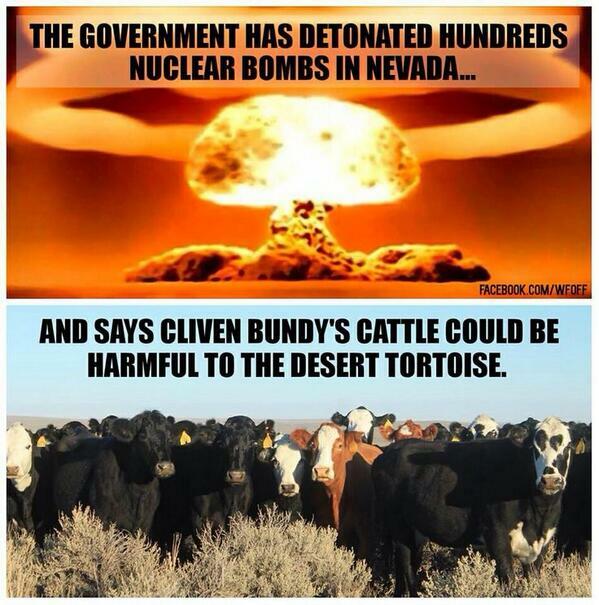 If I understand it correctly, they rustled Cliven Bundy's cattle and trained snipers on law abiding citizens because Mr. Bundy wouldn't pay a federal agency to support tortoises on state property. Now that the feds backed off, the ranchers and their supporters are in more danger than ever before. Our First Amendment rights are not limited to an area. As a matter of fact, they're not limited at all! Just who in the hell do these people think they are?! 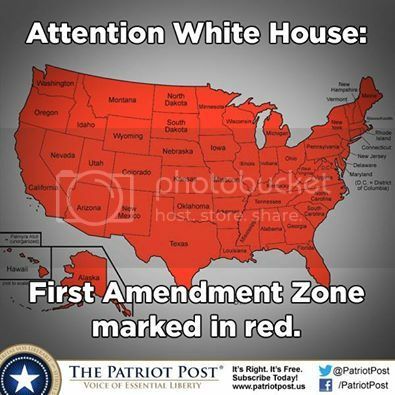 I might also add that our Second Amendment Zone is included in that area marked in red. 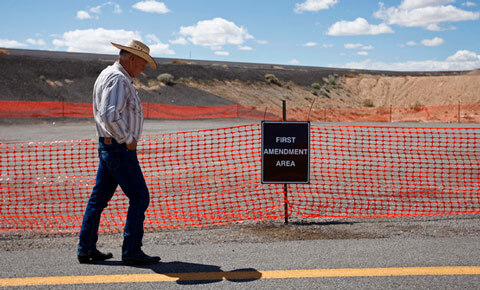 I seems the first confrontation in which citizens were assaulted came about because the Bundy family, friends, and supporters had the gall to stray outside the 'First Amendment Zone' and both question the minions of the BLM and document the cattle being rustled, the snipers, and the fact the BLM was treating citizens as if the BLM were an invading army. 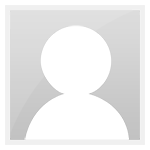 Who have "we" become? approved thoughts are given the entire area outside the circle. Thoughts not approved by the powers that be, must remain in "the zone".